Welcome to the Treasure Trails Expansion Poll blog! In the coming days, we'll be polling an expansion to Treasure Trails. Back in July 2016, we released a Treasure Trails Expansion that included Master Clues, new types of challenges, and new rewards. After the announcement post on Friday the 22nd of February, we went through hundreds of your designs, suggestions, and feedback regarding the upcoming Treasure Trails Expansion. The Old School team agrees that this expansion is set to be one of the best yet! The poll for the below questions will be live on Friday (08/03/2019) and will close on the following Monday (11/03/2019). Should a Treasure Trails expansion be added to Old School RuneScape? This expansion will include new challenges and new rewards for the existing tiers of clue scrolls as well as a brand new ‘Beginner’ tier. 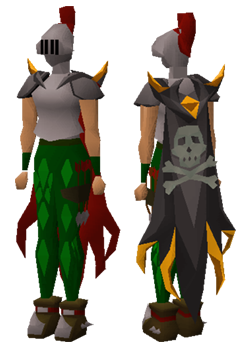 If the Treasure Trails expansion passes, should the Cape of Skulls be added as a potential reward? 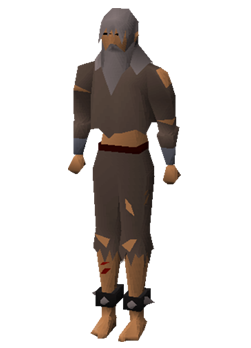 If the Treasure Trails expansion passes, should Spiked Manacles be added as a potential reward? 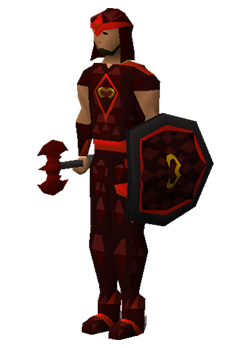 If the Treasure Trails expansion passes, should Blessed D'hide Shields be added as a potential reward? 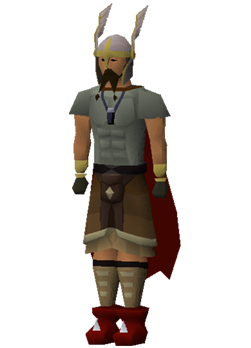 If the Treasure Trails expansion passes, should the Fremennik Kilt be added as a potential reward? 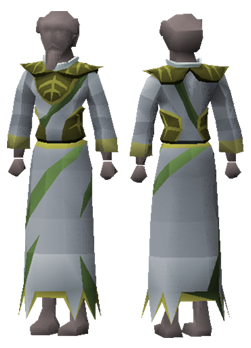 If the Treasure Trails expansion passes, should the 3rd Age Druidic Set be added as a potential reward? There have been some mixed reviews regarding re-rolling clue steps. Following from your feedback, it appears that the process of re-rolling a clue step needs some clarification. A re-roll is the ability to change the step you currently have and get a different one in its place. The only way to acquire a re-roll is to complete 20-60 clue scrolls of the same tier as the clue step you want to re-roll. You can not complete numerous easy clues to unlock a re-roll for a master clue. This a one time use step re-roll and will require you to do a further 20-60 clues in order to unlock another re-roll ability. Re-roll unlocks are to act as more of a reward for completing clue scrolls rather than making clue scrolls too easy. There is no guarantee that the re-roll will make the new step any easier. 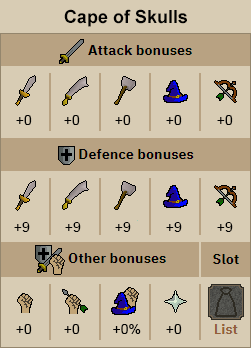 Should we allow players to unlock the ability to re-roll clue steps as described in the blog? This was one of the most talked about parts of the Treasure Trails Expansion and we want to thank you for taking the time to give us feedback regarding it. Following from feedback, multiple clues will have a hard cap at 5 per tier. 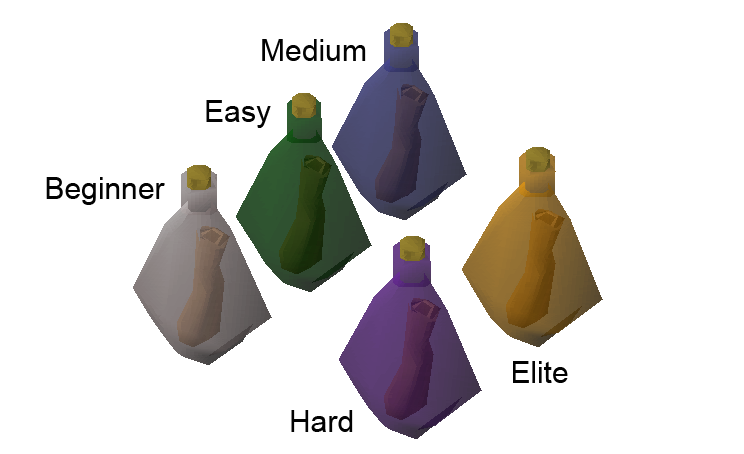 This will not stack in your inventory or bank due to restrictions on how to differentiate a clue started versus just received, however, it will allow you to have multiple clues of each type at the same time. You will still only be able to complete one clue of each tier at a given time. 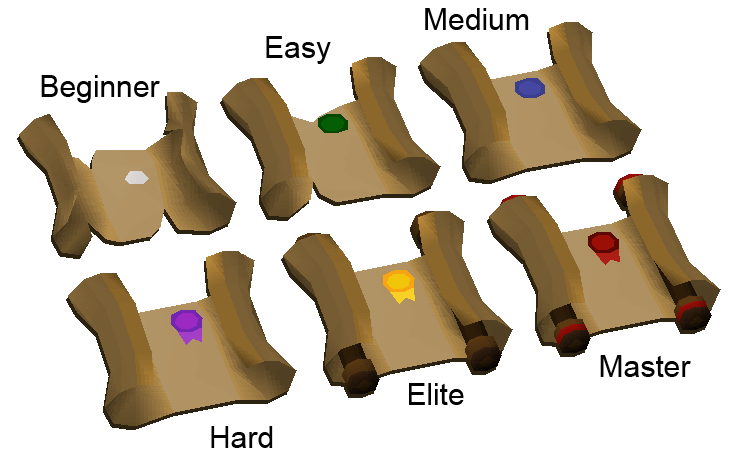 Should multiple clues pass, there is an option to make the clue scrolls similar to Ecumenical Keys in that your rate at receiving another clue of the same tier is reduced until you reach the cap of 5. 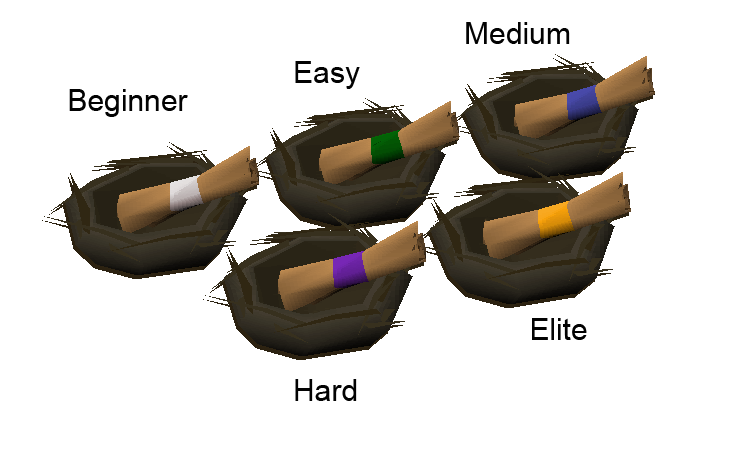 Stackable reward caskets will allow you to have multiple caskets at the same time rather than having to open it immediately after completing each clue. You still must complete a clue scroll to receive a casket, but can complete another clue scroll without having to open/drop the reward casket first. These caskets will stack and take up one slot in your inventory or bank. Should we allow players to have multiple clue of the same tier with a cap at 5 per tier as described in the blog? Should we allow players to have stackable reward caskets as described in the blog? Players will be able to unlock the ability to fight the Mimic Boss. 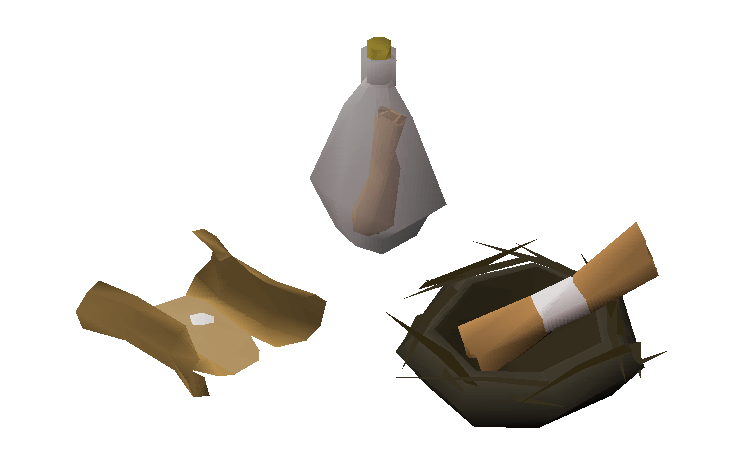 After unlocking the feature by speaking to an NPC, upon completion of a clue scroll your reward casket will have a rare chance at becoming a Mimic that you must defeat in order to receive your reward. This Mimic boss will be found on Elite and Master clue caskets and will swallow you whole into an instance to initiate the fight. The mechanics of the fight are still to be determined, however, it was suggested by one of you to have the Mimic boss spawn floating ghostly NPCs wearing 3rd Age Sets that attack you while having the Mimic boss throw various Treasure Trails items representing different attack styles. Another suggestion from you was to have the Mimic boss transform into random Old School RuneScape iconic bosses that will imitate attack styles of that boss. Should Mimic boss pass a poll, we will look to you all for feedback regarding the overall mechanics of the fight and new reward suggestions. Keep in mind that the Mimic boss is intended to be high risk but high reward. Should we introduce an optional but rare Mimic Boss fight to reward caskets for a chance at a rare clue reward? Should we introduce a graphical change to clue scrolls to make them easily distinguishable between the tiers? You can find a mock up image of the graphical change on the blog. Master Scroll Books currently allow you to store every type of teleport scroll up to 1,000 of each type. Most of the time, if a player already has a Master Scroll Book and receives another, it is either sold on the Grand Exchange, dropped, or alched. We want to offer you the ability to make use of your excess Master Scroll Books by allowing you the chance to turn them into Watson for 10-20 Watson Teleport Scrolls. These scrolls will teleport you directly outside of Watson's house in Kourend. If the Treasure Trails expansion passes, should the Master Scroll Book have the option to be traded in to Watson in exchange for 10-20 Watson Teleport Scrolls? These scrolls will teleport you outside of Watson’s house in Kourend. Discuss this announcement on our official forums, the community-led 2007Scape Reddit, or the community-led OSRS Discord in the #gameupdate channel. For reference on the above content, check out the official Wiki.